Now that the final season of Scandal is underway, we need to talk about how Olivia Pope has changed since Season 1. She’s probably the one character who’s transformed the most. When the Shonda Rhimes drama began in 2012, there’s no denying Olivia was in a power position, but she’s worked her way up the ladder even more ever since. She’s embraced her powerful abilities and is now Mellie’s chief of staff. Fans probably never thought they’d see that day come, but, well, here we are. The people Olivia’s encountered along the way, like Jake Ballard and her unique relationship with her father, Papa Pope, has pushed her to become somewhat of a different person compared to the woman fans remember when the series first began. Or maybe this is who Olivia has truly been all along, and she is finally embracing her true self. Whatever the case, Olivia isn’t the same Olivia viewers remember in Episode 1. Throughout Season 1, both Olivia and David bragged about their white hats (a symbol of goodness). Nowadays, no one really wears a white hat. Yes, Olivia is still a heroic figure and is good deep down, but her white hat is a little dingier these days — and even has some bloodstains on it. At the start of Scandal, Olivia Pope & Associates was the biggest and baddest company, going around fixing problems for high-profile people. It’s also what sucked fans into the show, watching Olivia and her gladiators pulling off the unthinkable. Now? It’s no longer OPA and Olivia has nothing to do with it. Quinn is the boss and it is now Quinn Perkins & Associates. 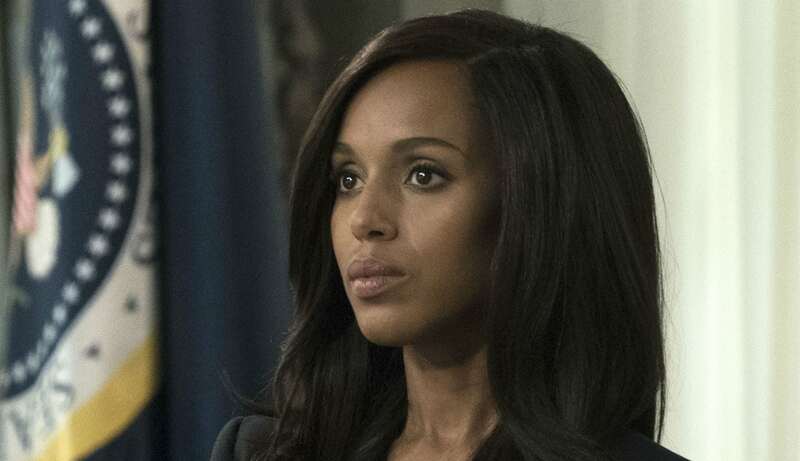 Fans probably never thought they’d watch Olivia Pope turn into a killer. That’s exactly what happened in Season 5 when she beat Andrew to death with a chair. Let’s not forget she also pushed Luna Vargas to take her own life, so, yeah, Olivia’s white hat days are very far behind her. The early days of Scandal heavily revolved around Olivia’s love life, especially with Fitz. Then Jake came into the picture and that shifted things even more for her in the romance department. Just because Olivia and Fitz aren’t together at the moment doesn’t mean they don’t love each other or will never reunite as a couple, but Olivia’s sole focus these days is as the “most powerful person in the world.” In a sense, she has blinders on and avoids any type of romantic commitment so she can get the job done. Since day one, Olivia and Mellie were not friends and didn’t like one another. After all, Olivia was Fitz’s mistress and contributed to the downfall of Mellie and Fitz’s marriage. Who would have ever thought that Mellie and Olivia would be partners in crime working alongside each other? Not only did Olivia run Mellie’s presidential campaign (just like she did Fitz’s), but she is now her chief of staff. Oh, and they’re actually kind of friends. During the early days of the drama, Olivia believed her mother to be dead — and to be a decent human being. That all changed after Olivia learned that her mother, Maya Lewis, was not only alive and well, but also a terrorist. It’s something that has definitely affected her too. It’ll be interesting to see where Olivia ends up by the series finale and if she’ll change even more than she already has.